The simple peanut butter cookie. The perfect complement of the chocolate kiss. 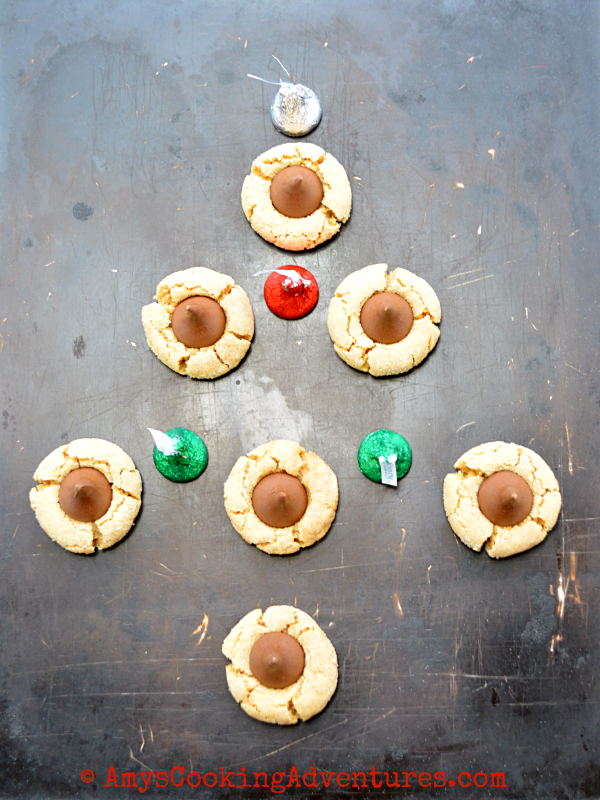 As a side – I never knew these were called peanut butter blossoms until I was an adult – we always called them kiss cookies! Honestly, there aren’t any changes to this recipe. But they’re Spud’s favorite Christmas cookie (we make them every year on Christmas Eve for Santa), so I wanted a copy of the recipe here on the blog. Place the shortening and peanut butter in the bowl of a stand mixer and beat until well blended. Add the white and brown sugar, beating until fluffy. Add in the egg, milk, and vanilla and mix until combined. Lastly, add the flour, baking soda, and salt and mix until combined. Use a small (1 tablespoon) cookie scoop to measure the dough. Roll into smooth balls. Place the remaining granulated sugar in a small bowl. Roll the dough balls through the sugar and place on baking sheets. Bake for 8-10 minutes or until lightly browned. 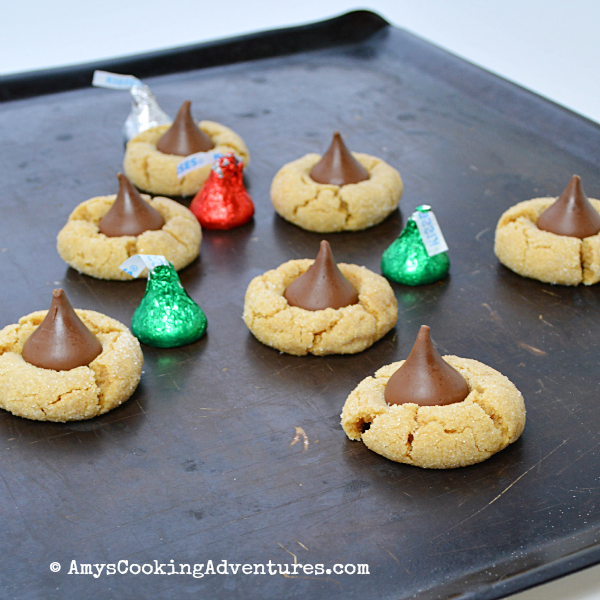 Remove from the oven and immediately press a chocolate kiss into the center of each cookie. Move cookies to wire racks and cool completely. Some recipes don't need changing. That is why they become classic.